Liquid Cooling Solutions like Air to Water Heat Exchangers or Chillers are especially well adapted to hot, dirty environments, where it provides a method of removing the heat from the machine and not contributing additional heat back into the environment. Pfannenberg Air to Water Heat Exchangers use a supplied water source to remove the heat from the electrical cabinet. The heat from the enclosure is transferred to fluid and the heated fluid is then piped away adding no heat to the ambient environment. 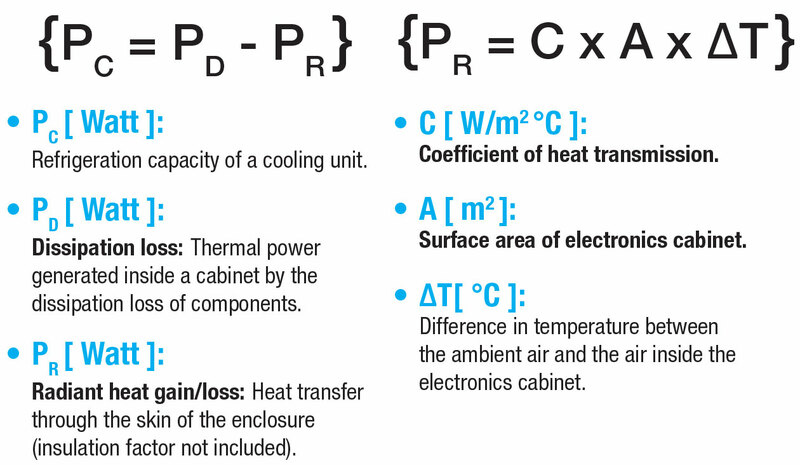 Because there is no heat transfer to the ambient environment, there is no need to de-rate the units performance in high ambient conditions. How do I know if a Air to Water Heat Exchanger is the right product for my application? If there is a chilled water supply readily available at the enclosure. If the environment has extreme conditions like extremely high ambients, extremely dirty or caustic, that make other systems not applicable. To properly size an Air to Water Heat Exchanger you must know the required cooling capacity in Watts, available water temperature and the dimensions of the unit and enclosure. 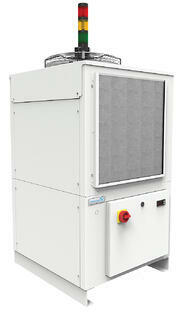 Pfannenberg utilizes the DIN standard 35/35 °C when rating our cooling units. Many other companies use 50/50 °C, which provides a higher, non-usable value. Customers should use their own application temperatures to determine the proper cooling capacity of the system. 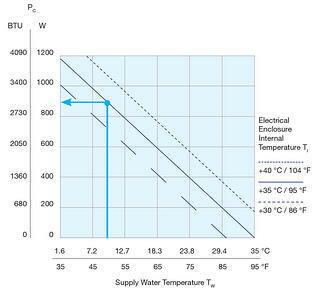 The performance of an Air to water Heat Exchanger is directly related to the difference in the water temperature and the air temperature inside the enclosure. To manage condensation, an external condensation evaporator (KVDTX) can be used. A chiller uses a refrigeration cycle to remove the collected heat from a circulating liquid. As the liquid moves through a system of tubes and pipes it absorbs the heat generated by equipment and processes. This generated heat is then transferred by the liquid back to the chiller where it is dissipated. Fluid is cooled and sent back into the system. How do I know if a Chiller is the right product for my application? When higher heat loads that exceed traditional enclosure cooling methods need to be managed. When precise temperature control is required as part of the manufacturing process. Large fluctuations in heat load requirements need to be managed. It allows the source of cooling to be located separately from harsh environments. Choosing the best packaged chiller to meet the demanding requirements of today's industrial applications can be complicated. For that reason, Pfannenberg designed a 6 step guide to help you select the best chiller depending on your environment, process and type of application. Click on the picture to open the PDF or use this link! 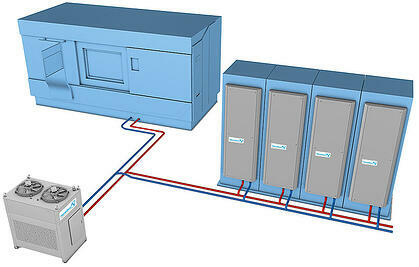 Chillers can be installed indoors if the area around the unit is relatively clean and the air is temperate. Locating the chiller outside can be a good option and can improve the efficiency of the chiller depending on temperature. Extreme temperatures can cause capacity issues or the need for additional options such as a low ambient package. A chiller should be sized as close to the required capacity based on the desired chilled liquid supply temperature and the highest expected ambient temperature. When a Liquid Cooling Source is not available on site, use the combination of chillers and air/water heat exchangers to simplify the cooling of your processes, machines and controllers as part of a system based solution. Via a closed pipeline system that uses a highly economical supply of cooled liquid (e.g. water, glycol or oil) as the cooling medium, temperature can be managed within your process and as the cooling medium for the air conditioning of control cabinets. 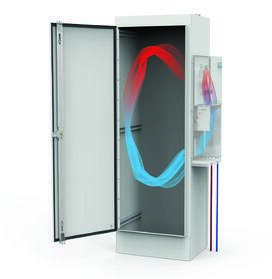 When cooling cabinets with PWS Air/Water Heat Exchangers the thermal management is 100% independent from the ambient temperatures at the installation location. 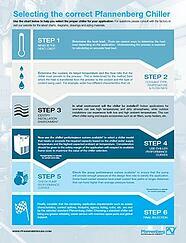 Click here for more detailed information about Closed Loop Liquid Cooling Solutions! A properly selected Thermal Management is key to guarantee the longevity of critical electronics. Pfannenberg place the klowledge and technical expertise of its engineers at your disposal for you to find the best solutions for your requirements. Cooling with Closed Loop Air to Air Heat Exchangers.